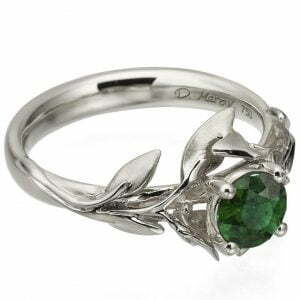 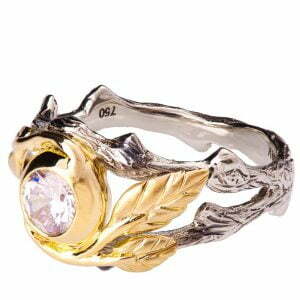 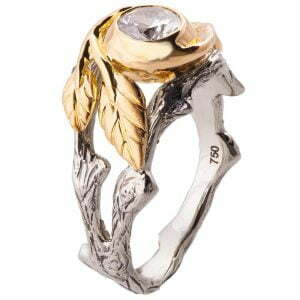 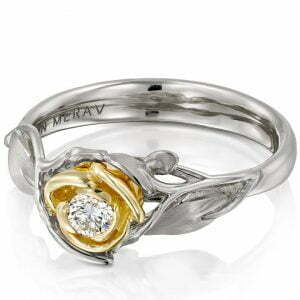 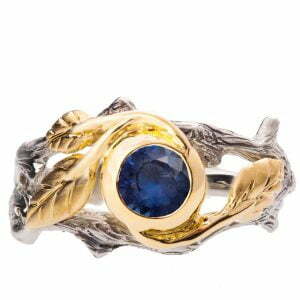 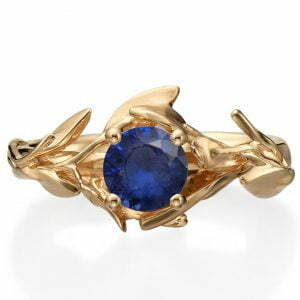 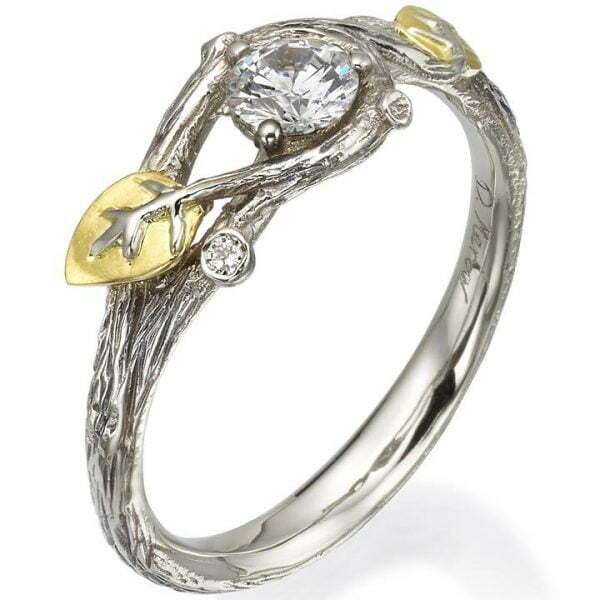 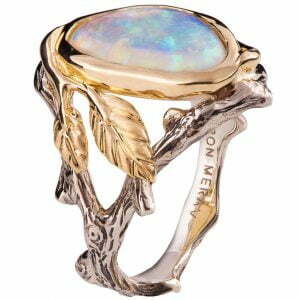 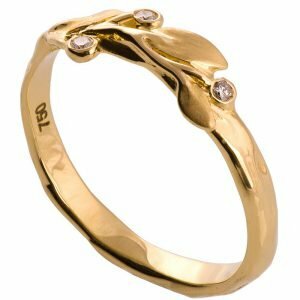 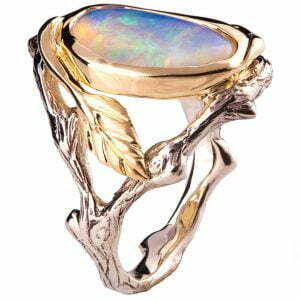 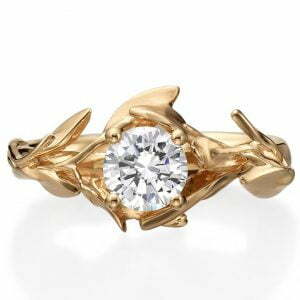 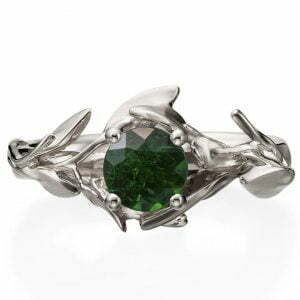 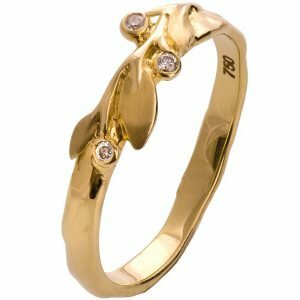 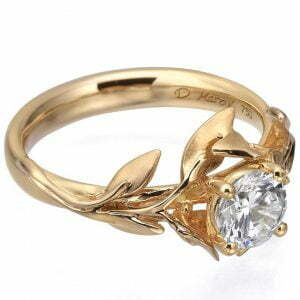 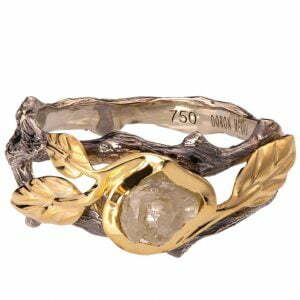 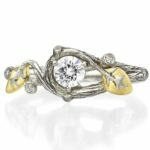 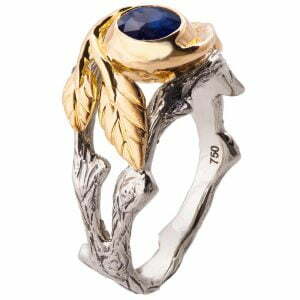 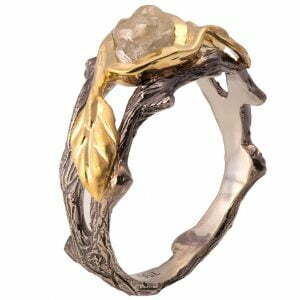 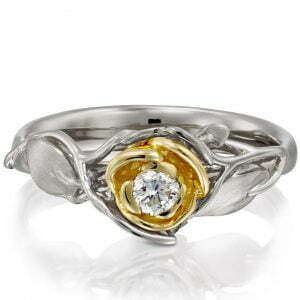 A handmade twig and leaf ring made in two gold colors and set with a natural, round moissanite. 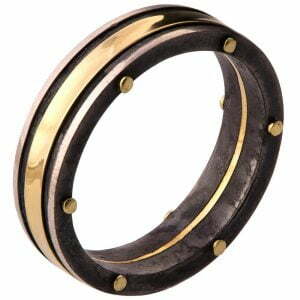 The grooves in the band are plated with black rhodium to emphasize the texture. 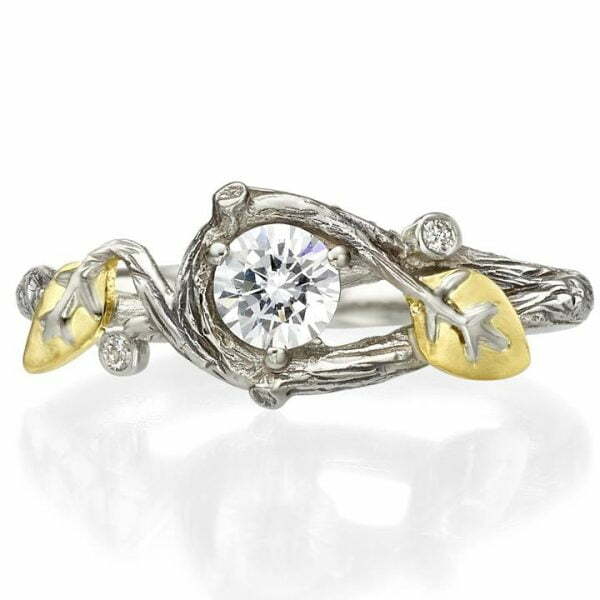 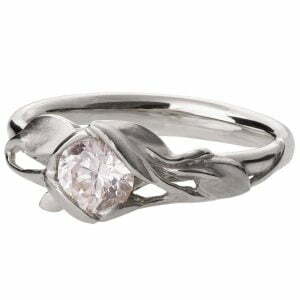 This ring is set with a ‘Charles & Colvard’ Forever One moissanite but can be made with any stone of your choosing. 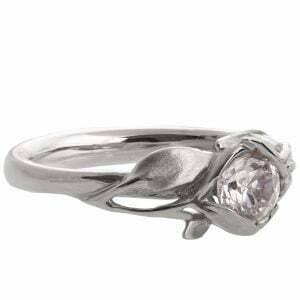 The pictured moissanite is 4.5mm ‘Forever One’ quality moissanite made by ‘Charles & Colvard’. 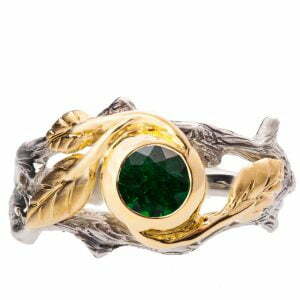 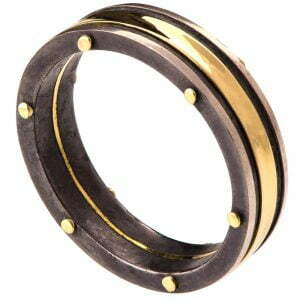 This ring pictured is about 7.5mm wide at the widest point.